The Christmas rush is now behind us. The presents have been opened. The meal has been reduced to leftovers. The parties have come and gone. All that is left is the clean up! Somehow, taking down the Christmas tree is not as much fun as putting it up. Washing the dishes from the big meal is not as celebratory as the meal itself. Paying the credit card bill is not as enjoyable as the shopping that led to that bill. In the area in which I live, it is not uncommon for people to not quite get around to finishing up these after-Christmas events. I can often see Christmas trees still lit inside homes for weeks after Christmas has passed. I have seen Christmas wreaths on front doors until late April. We tend to start Christmas with a big burst of energy, but we seldom finish with the same enthusiasm. While I suppose we might excuse ourselves for our lack of post-Christmas zeal, I think that if we are not careful, the habit of not finishing what we start can carry over into other areas of life. Whether it is a home repair project, a book we are reading, a homework assignment, or some relationship issue we are working through, we need to learn to finish what we start. Though some things we start do not turn out the way we had originally envisioned, we should remain focused and finish them to the best of our ability. When we do not finish something with the same commitment that we started it, it becomes easier to quit the next time too. Quitting becomes a habit. If we master the art of quitting when things are harder than we thought or do not turn out the way we imagined, we will find ourselves quitting a lot. Life is filled with unexpected events and seldom do our plans work out exactly as we thought they would. Quitting every time we hit a road block in our plans will not lead to a healthy lifestyle. People who become skilled in the art of quitting seldom accomplish anything of significant value in life. They may be very creative in thinking up things to do, but they seldom get them done. They may begin numerous projects with enthusiasm, but their lives are filled with scattered elements of half complete projects. Their minds race with ideas they never act on. They are often paralyzed emotionally and/or relationally as they bubble over with energy for one new project after another while never quite getting the last one finished. They can be exhausting to be around. As difficult as it can be, we need to finish as well as we start. We need to do the hard work of bringing various activities in our lives to their logical conclusions. If we fail to do this, we will struggle to find wholeness in our lives. We will lack a sense of accomplishment. As we deal with all the post-Christmas “stuff,” let it become a new pattern in our lives for finishing as well as we started. When I was in college I became an intern at one of America's largest churches. When the internship ended three years later, they hired me full time for an additional two years. I enjoyed my five years serving that mega church. I was exposed to innovative ideas and saw how those ideas could be put into practice if a church had the financial and manpower resources to make them happen. I also had the opportunity to rub elbows with some of the most visionary Christian leaders in the nation at that time. Their ideas and passion continue to impact my ministry more than 20 years later. However, as I moved through my time in that church, I had a growing uneasiness about the size and scope of how mega-churches operate. That local church could only do the things they did because of the unique mix of personalities of the senior pastor and key staff members. That mix is not easy to reproduce. They were also dependent on endless amounts of money that their popular pastor raised from a growing television audience. Televangelists are not nearly as popular today as they were twenty years ago. They were also dependent on a lot of "feeder churches" in the surrounding area that kept supplying the people that made the rapid growth possible. There came a time when I realized that the mega-church was not for me. That does not mean that I am "anti-mega church." I continue to think that mega-churches have a vital role in doing very unique things that smaller churches are unable to do and denominations and para-church organizations are not in a position to do. However, I realized back then, and continue to believe, that there are inherent weaknesses in mega-churches that sheer size makes almost impossible to overcome. In many ways small and medium sized churches are healthier than some mega-churches. One of the challenges that mega-churches face is overhead. A small church often has a building that is paid for. If that small church is also a historic church, it may have trust funds designated to keep the building in good repair. This significantly lowers the percentage of the budget that a small church must devote to physical overhead and allows small churches to weather economic downturns more easily. Mega-churches, on the other hand, seem stuck in ongoing cycles of building expansion, normally funded through borrowing. An article in the December 17 issue of World magazine pointed out that many mega-churches with mega-mortgages are now in financial trouble. While part of those difficulties are simply a result of the current economic situation, perhaps a larger issue is that those mortgages paid for buildings that were simply too large and expensive to begin with. World magazine reported that "since 2008 more than 200 churches and other religious organizations have faced foreclosure." The article goes on to say that "in the decade before 2008, church foreclosures were rare, averaging less than 10 per year." These foreclosures "tend to take place with larger churches, larger sums of money, and greater attention by the media." Many of those mega-churches have declared bankruptcy as they made their way to eventual foreclosure. Some, such as the Crystal Cathedral in Santa Ana, California, had as much as $50 million in debt. The idea of a church declaring bankruptcy and walking away from its obligations is more than a financial decision. It speaks to the wisdom and spirituality of leaders who led such churches into these huge amounts of debt. It reminds me of 1 John 2:15 "Love not the world, neither the things that are in the world. If any man loves the world, the love of the Father is not in him." Leaders of all sized churches would do well to consider this truth as we lead our churches to expand. Growth is good if it is laid on a good foundation. But growth fueled by worldly ideas will produce exactly the results that we are now witnessing. Three weeks ago I visited a nearby church service to encourage their pastor. He said many good things in his sermon, but one sentence has stood out in my mind these past three weeks. Pastor Bob Butler of Macedonia Baptist Church of Plainfield, Vermont, said “Hypocrites are never happy and they are impossible to satisfy.” Having been in the ministry for more than 20 years, I have had many opportunities to engage in efforts to make hypocrites happy. I do not recall any of them being very successful. Hypocrites are not happy because they have an overly idealized view of the world. They want things to be perfect. But things are seldom perfect. People make mistakes. Plans fail. Politicians disappoint. Employers make bad decisions. Churches sometimes forget their mission. When things are not perfect, hypocrites respond by getting upset. And since things are seldom perfect, hypocrites are often upset. Instead of becoming upset, it would be far more productive if they rolled up their sleeves and tried to improve the situation. But that would require far more effort than just complaining about the situation. One might think that if we just worked a little harder we might somehow create the perfect situation and then hypocrites would finally be happy. But as Pastor Bob has correctly noted, “hypocrites are impossible to satisfy.” The reason hypocrites are impossible to satisfy is because they have reserved to themselves the right to decide what perfection is. Though many situations may seem perfect (or close to it) to many people, their opinions do not matter to the hypocrite. The only opinion that matters to the hypocrite is his own. Therefore, he can declare a situation less than perfect, even when others have worked hard to achieve what appears to them to be a great situation. We have to decide if we are going to spend all our time vainly trying to please hypocrites in fruitless efforts to create their false version of perfection. If we choose to spend all our time in that empty pursuit, we will have little time left to devote to the people and issues in our lives that really matter. As hard as it is, we must learn to ignore the endless whining of hypocrites. Will that upset hypocrites? Yes, but since they are always upset anyway, we must simply learn to live with their dissatisfaction. 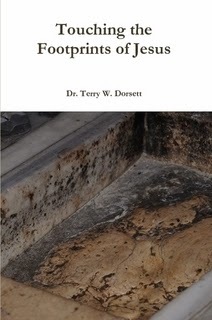 A sermon developed by Dr. Terry Dorsett based on Luke 2:8-18. · To fully understand the JOY of this story, we need to understand who shepherds were. · Shepherds led sheep to pasture and water. · Shepherds guarded their flocks at night from wild animals and robbers. · Shepherds kept count of the sheep. · Shepherds carried weak lambs in their arms. · Because shepherds spent most of their time outside in the elements, their life was often hard. · Shepherds seldom owned the flocks they watched over and their pay was so small that it was unlikely they would ever own their flock. · Shepherds seldom owned the fields in which their flocks grazed, and it was unlikely they would ever own their own land. · Shepherds often became victims of robbers or wild animals, their life expectancy was short. · Because shepherds spent so much time away from the village watching the sheep, they seldom were able to complete their education. · Being a shepherd was mainly the occupation of younger sons and slaves. · There was not a lot of “upward mobility” for shepherds. · A shepherd’s life was quiet and simple but it was also full of hardship and poverty. · It was a life with little joy or excitement. No real prospect for recognition. Little hope of long term survival. Little anticipation that anything great would ever happen. · Yet it was to these men that the Joy of the World was first announced! · God chose to reveal to these ordinary people the extraordinary news that the Joy of the World had arrived. · God still speaks to ordinary people. · Very few of the rich and famous follow Jesus. · It is easy to look for some “super Christian” to come solve all the problems in our community. · But very few “super Christians” really exist. · Mostly it is just ordinary people like us who follow the Lord. · God wants to use us ordinary people to do extraordinary things. · We can accomplish the extraordinary if the joy of the Lord overflows in our lives. · Angels are special messengers from God who give us direction in life. · Sometimes God uses actual angels to give us messages from Him. · Sometimes God uses people in our lives to give us directions from Him. · It is far easier to be joyful when we know God is directing us, so we should listen to Him. · Sometimes we are scared of God’s directions. · We do not need to be afraid of what God is says to us, because God only wants our good. · We can focus on our problems, or we can listen to the Lord’s directions. · Joy comes when we get our eyes off of our present circumstances and on to something bigger. God is bigger than our problems! Verse 11- Today a Savior, who is Messiah the Lord, was born for you in the city of David. · The angel proclaimed that Christ was born..
· Christ came for both the powerful and the weak. · Christ came for both the rich and the poor. · Christ came for both the educated and the uneducated. · Christ came for both the employee and the employer. · Christ came to SAVE us from the eternal consequences of our sin, which is an eternity in hell. · Knowing our eternity is secure should fill us with joy! · If we do not have the assurance of our salvation, that is the first thing we must make secure in order to find real joy in life. · Christ also came to teach us how to live better so that we might be SAVED from making the same mistakes over and over again. · We lose our joy when we keep doing things we know are wrong. · Our lives will be full of JOY when we choose to follow the way of Christ. · The angel told the shepherds they would know they had found the Messiah when they found a baby wrapped up in cloth and lying in a manger. · We have gotten so used to hearing this part of the Christmas story that it sounds “sweet” to find a baby in these circumstances. · But to the shepherds, this sounded crazy. · A manger was a feeding trough that food for animals was put in. Then animals came and slobbered all over it while they ate. · The shepherds, who fed animals for a living, knew this was crazy. No mother would put her new born baby in such a gross place. · Therefore, they knew if they found a baby in these circumstances, it would be a sign from God. · How often have things happened in our lives that could only be described as supernatural? · How many such experiences do we need in order to know Christ is real? · We need to stop asking God to prove Himself to us because He has already done it numerous times. Verse 13 - Suddenly there was a multitude of the heavenly host with the angel, praising God …. · We should not be surprised that the simple announcement of the Christ’s birth was followed by such an amazing display of God’s power. · God is always declaring His directions for our lives in both big and small ways. · We will not find joy until we start listening to what God is saying. · The glory of the Christmas story was NOT in the shepherds, or Mary, or Joseph or even the angels who sang so wonderfully. · The glory of the Christmas story was God! · Whenever we get our eyes on ourselves, we lose our JOY. · When we get our eyes on Jesus, JOY comes! · After the angels returned to heaven, the shepherds immediately decided to go check out what the angel had said. · The shepherds had a tremendous spiritual experience and realized this experience had the potential to change their lives. · The shepherds realized they could have real JOY if they found Jesus. · It is important to note that the shepherds recognized this JOY was something the Lord was showing them. It was not from their own will power. · They were not just pretending to be happy. · They realized that the God of the universe had stepped into their ordinary lives and given them a glimpse of eternity. · They could not help but be filled with joy. · Real JOY has no other source but Jesus. · We will be disappointed if we think we can conjure up JOY without a deep and meaningful faith in Jesus Christ. · So the shepherds immediately left what they were doing, risking everything to find Jesus. · When we sense something spiritual going on in our lives, we should reorder our priorities and press in close to the Savior so that we do not miss out on the JOY God wants us to have. · Just imagine if the shepherds had said they were too busy, or too poor, or just disinterested in finding the baby the angel told them about. · The shepherds hurried to find what the angel had told them about. · It is interesting how we are in a such a hurry to finish school, find a job, make money, get married, buy a car, shop with credit cards, etc, etc, but when it comes to spiritual things, we suddenly slow down and put off making the commitments we know we should make. · Though we should not “rush” into spiritual commitments that we have not yet thought through, we need to make time to think through what God is saying to us so we can have JOY. · If God wants us to start having a daily quiet time, or to start tithing, or to join the church or be baptized or start serving in some way, we will NOT find JOY until we HURRY to obey!!! · As the New Year approaches, we should make a list of things God is calling us to do in our lives. · Then we should make a list of things we can let go of so we will have time/energy/money to do what God is calling us to do in our lives. · We will not find JOY in our lives until we are doing the things God has called us to do. · 2012 CAN BE OUR MOST JOYFUL YEAR! · Once the shepherds found the JOY they were looking for, they could not help but tell others what they had experienced. · When we finally discover the JOY that comes from a wonderful relationship with the Lord, we will have to tell others. · Even though the shepherds may not have been considered “great” or “influential” under normal circumstances, the story they told was so fantastic that everyone listened. · We may think that our lives are too simple and do not count for much, but when we share with others what God is doing in our lives, they will listen and find the same JOY we have. · Realize that most often God uses ordinary people to His extraordinary work. · Realize that we can trust God when He tells us how to follow Him more completely. · Give up the things that are keeping us from following Christ completely. · Share the JOY God gives us with others who also need it. I started in ministry when I was only 18 years old. I have served as a children’s minister in a large church, a youth minister in a medium sized church, and as pastor of both small and medium sized congregations. In my 26 years in these various capacities, I have seen many families that were torn apart by internal struggles. Though they loved each other, they just could not overcome their negative feelings toward each other. Some families broke apart and no longer have any connection with each other at all. Other families remain connected, but tension lies just under the surface, ready to erupt at any moment. I have often pondered by people who love each other have so many struggles with each other. In my devotional reading the other day I was reminded of James 4:1, “What is the source of the struggles and conflicts among you? Don't they come from the cravings that are at war within you?” This verse seeks to answer the question of why we have struggles and conflict with other people in our lives. This verse identifies the root of these conflicts as the cravings that are inside all of us. What do we crave? We crave acceptance.We crave love. We crave control. We crave power. We crave recognition. We crave security. We crave both connection and independence, which makes us feel conflicted internally. Some of these cravings are normal and may not lead to conflict with others. But some of these cravings will cause conflict because the other people in our lives crave the same things. While there should always be enough love to go around for all members of the family, it is impossible for everyone in the family to be in control. While every member of the family should be accepted for who they are, not everyone in the family will have equal power or independence. When we forget this important truth and our cravings collide with the cravings of others, the result is always conflict. What is the solution? For non-Christian families, I am not sure there is a great solution. They will just have to negotiate the situation the best they can and hope it works out. But for Christian families, the solution is to deny ourselves, take up our cross and follow Jesus (Matthew16:24-27). As Christians our goal should not be our own power, our own control or our own agenda. As Christians our goal should be to lift up Jesus in every area of our lives. That can be hard in the midst of a heated discussion with those we love. But it is the only path to lasting happiness and peace. Any other path will lead to constant conflict with those we love. The next time our cravings begin to collide with the cravings of someone else, we should take a deep breath and ask ourselves what response would glorify the Lord. Then, as hard as it may be, we should choose that response. Though it might not result in the instant gratification that our society has become known for, it will produce long term healthy results. And when it comes to family, we should be looking for better long term results. After all, we will be part of our family for the rest of lives. A future without constant conflict sure sounds better than one with constant conflict. For more devotionals like this one, consider Touching the Footprints of Jesus.